Hip resurfacing has been in use worldwide since 1997, and the US Food and Drug Administration reviewed a tremendous amount of resulting clinical data before approving it for use in this country. Dr. Stewart has been performing Birmingham hip resurfacings for over a decade. Dr. Stewart will determine whether or not you are a good candidate for the BIRMINGHAM HIP* Resurfacing. A total hip replacement surgery requires the removal of the femoral head and the insertion of a hip stem down the shaft of the femur. Hip resurfacing, on the other hand, preserves the femoral head and the femoral neck. 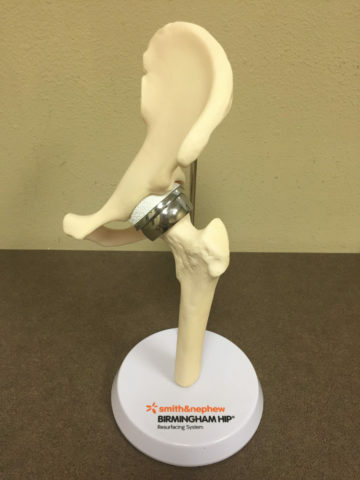 During the procedure, Dr. Stewart will only remove a few centimeters of bone around the femoral head, shaping it to fit tightly inside the BIRMINGHAM HIP* Resurfacing implant. Dr. Stewart will use an incision of between six and eight inches in length. While some surgeons may use a slightly smaller incision, most will fall in that range. What are my physical limitations after surgery? Most surgeons will tell you that after the first year, you can return to whatever physical activity you enjoyed before hip pain limited your mobility. For instance, unlike total hip replacement, you will be able to return to jogging or singles tennis after your first year after surgery. During your first year, more conservative, low-impact activities like walking, swimming and bicycling are recommended for strengthening your femoral neck and the muscles around your resurfaced joint. Who is a Candidate for Hip Resurfacing? Hip resurfacing is intended for young, active adults who are under 60 years of age and in need of a hip replacement. 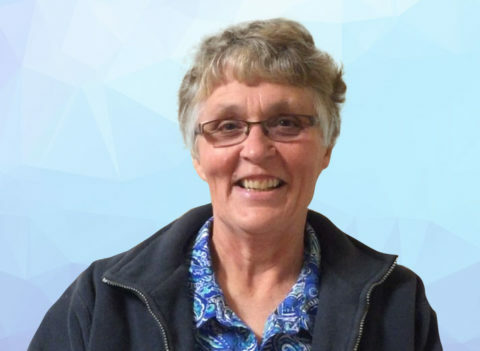 Adults over 60 who are living non-sedentary lifestyles may also be considered for this procedure. However, this can only be further determined by a review of your bone quality. 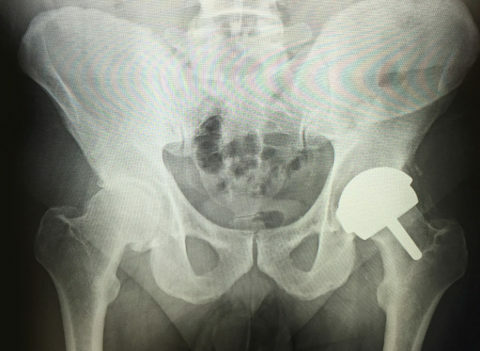 How long will the BIRMINGHAM HIP* Resurfacing implant last? It is impossible to say how long your implant will last because so many factors play into the lifespan of an implant. In the case of resurfacing, for instance, the metal-on-metal bearing surfaces of your new joint may extend its life longer than that of a traditional total hip replacement, but failure to comply with your physical rehabilitation regime may cause your implant to fail within months. 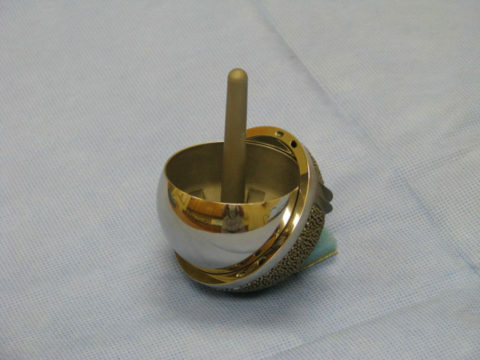 A clinical study showed the BIRMINGHAM HIP* Resurfacing implant had a survivorship of 98.4-percent at the five-year mark, which is comparable with the survivorship of a traditional total hip replacement in the under-60 age group. WANT TO KNOW MORE ABOUT THIS PROCEDURE? If you’re ready to take the next step towards a happier, healthier, and more active lifestyle, contact us today. We’re ready to help you get moving again. I can do everything. I don’t have any restrictions whatsoever. It’s the best thing in the world. I woke up from surgery and had no more pain. It was the best thing I ever did.